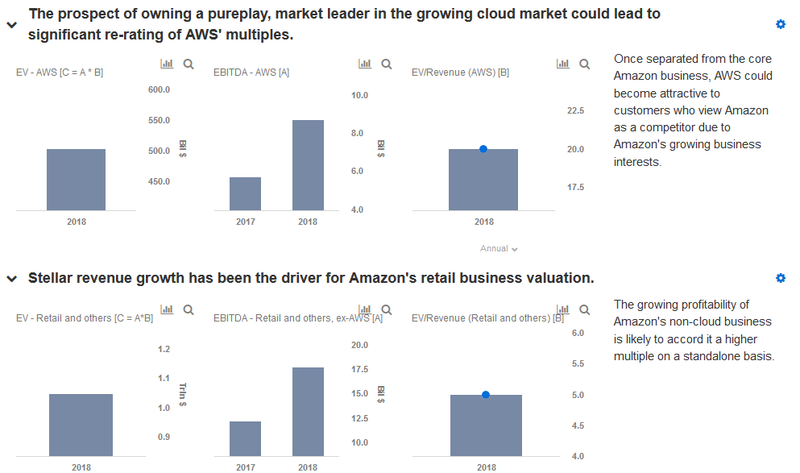 Amazon‘s (NASDAQ:AMZN) retail and cloud businesses have long had an interesting dichotomy, with the retail business historically burning cash and Amazon Web Services (AWS) generating solid profits. With the growth of Amazon’s retail business’ profitability on the back of advertising revenues, there has been speculation that Amazon could unlock shareholder value by spinning off AWS. 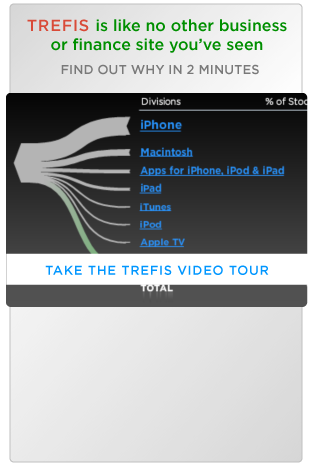 Below we take a look at whether that would make sense, and how the company could benefit. Our interactive dashboard takes a look at the Sum-Of-The-Parts Value Of Amazon’s Businesses, and outlines our forecasts and estimates for the company. You can modify any of the key drivers to visualize the impact of changes on its valuation. Amazon has been increasingly becoming a competitor to many of its customers (and potential customers) due to the company’s expanding business interests, which has been a growing narrative for AWS’ competitors. While AWS has been growing at 40%+, that growth could slow on account of increased competition from Microsoft and Google, especially if Amazon is not able to address concerns related to potential competitive conflicts with customers. On the other hand, along with the demand-led rise in AWS EBITDA, the profitability of the Amazon’s non-AWS businesses is likely to rise on the back of improving profitability of the e-commerce business, as mentioned above. While Amazon’s retail business is one of AWS’ largest customers, the compelling growth offered by both businesses, as well as the potential for improving profitability and marketing benefits from separating the two entities, could potentially unlock significant value. It should be noted that spin-offs generally tend to happen under shareholder pressure in order to unlock value, something that Amazon has not faced to date. Given the company’s extraordinary growth in recent years, in addition to its dominance in multiple lines of business, we do not expect to see shareholder pressure for a spinoff in the near term. Accordingly, we view a spinoff as unlikely, though there are some merits in terms of potential value to be unlocked.